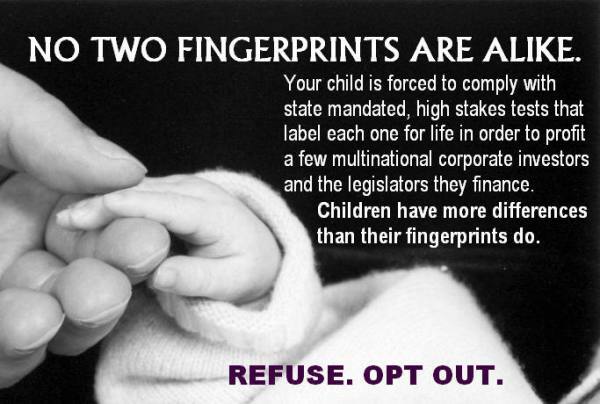 Your child is forced to comply with state mandated, high stakes tests that label each one for life in order to profit a few multinational corporate investors and the legislators they finance. Children have more individual differences than their fingerprints do. How? Go to United Opt Out for state-by-state letters and directions.